What Is Preventing Qatar Residents from Performing Hajj? 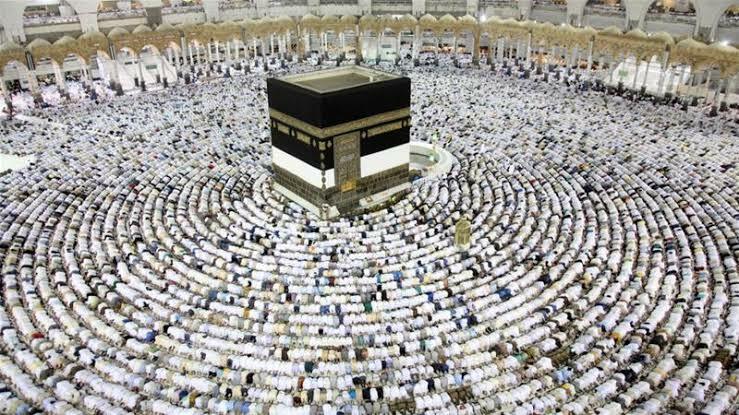 Contrary to the claims that Qatar has prohibited its citizens from performing Hajj, the Ministry of Awqaf and Islamic Affairs has affirmed that it is merely a part of the ongoing campaign to exploit the religious ritual for political purposes. The unfortunate increasing media campaigns surrounding these allegations contradict reality and that they appear to be a continuation of the campaign to exploit Hajj for political purposes. Qatari citizens are prevented from entering territories of Saudi Arabia, UAE and Bahrain because of this phenomenon. The Ministry confirmed that there has been recent communication between the Ministry of Awqaf and Islamic Affairs in Qatar and the Ministry of Hajj and Umrah in Saudi Arabia. "We explained all the obstacles and difficulties facing Qatari citizens and the residents of the State of Qatar. We demanded that the concerned authorities in Saudi Arabia remove these obstacles; there was no breakthrough in that regard" says the Ministry. The Ministry added, "All the challenges continue to exist. The border crossing remains closed to Qatari and resident pilgrims with limited income or who cannot travel by plane. The prevention of planes from transporting pilgrims from Doha to Jeddah still exists, as is the case in all neighboring countries. Also, there is no clear mechanism for obtaining a Hajj visa for residents of Qatar." First: The same challenges and obstacles continue without any tangible progress, and Qatari Hajj companies remain banned from entering Saudi land. Also, the Ministry of Awqaf and Islamic Affairs is not allowed to care for its pilgrim, as is the case with all GCC member states. Second: Dozens of violations related to the rights of Qatari citizens and residents while performing Hajj and Umrah have been recorded over the recent period, and many of them were prevented from entering Saudi land; in some cases, people were returned after reaching Jeddah airport. Such incidents show selective and ambiguous entrance policies that are sometimes subject to the whims of individuals. Third: The continuation of inflammatory media discourse against Qatari citizens in systematic rhetoric that potentially represents a threat to their safety. Such rhetoric prevented Qatari Hajj organizations from carrying out Hajj and Umrah trips for Qatari citizens and residents, like the rest of the GCC member states, based on the foundations of the Hajj agreement signed before 1438 Hajj season. The Ministry stressed that the previous and their effects would be reflected negatively on the safety and security of Qatari pilgrims and residents and the seamless performance of the holy rituals. In addition to denying Muslims residing in the State of Qatar from performing one of the five pillars of Islam. At the end of their statement, the Ministry of Awqaf and Islamic Affairs renewed its call on authorities in the Kingdom of Saudi Arabia to separate religious matters from political decisions, in honor of the sanctity of religious rituals and their sacred site which made them responsible for the House of Allah.